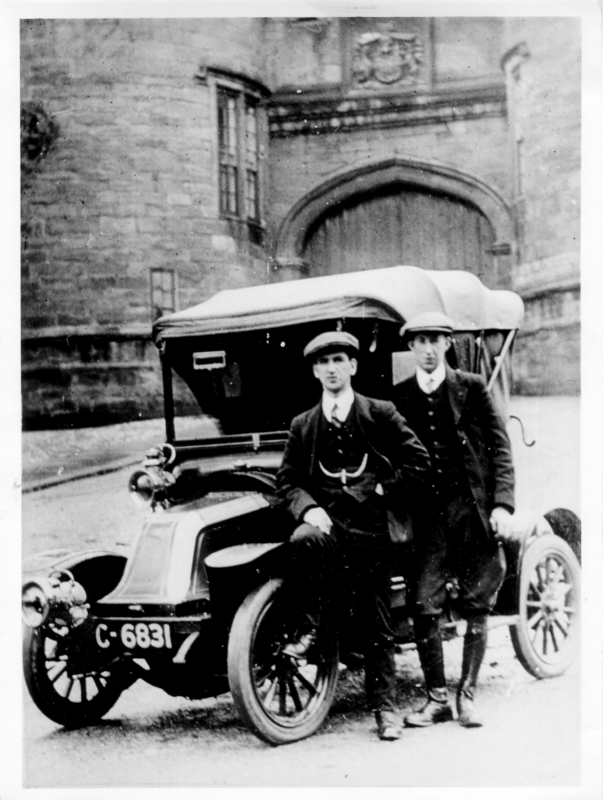 The first car in Skipton, owned by Dr Liversidge. It appears to be a De Dion-Bouton automobile. Standing alongside are the drivers for Dr Liversidge and another local medic, Dr Fisher. "Scottie" (left) worked for Dr Liversidge, Mr Smith (right) for Dr Fisher. Photo taken in front of Skipton Castle.